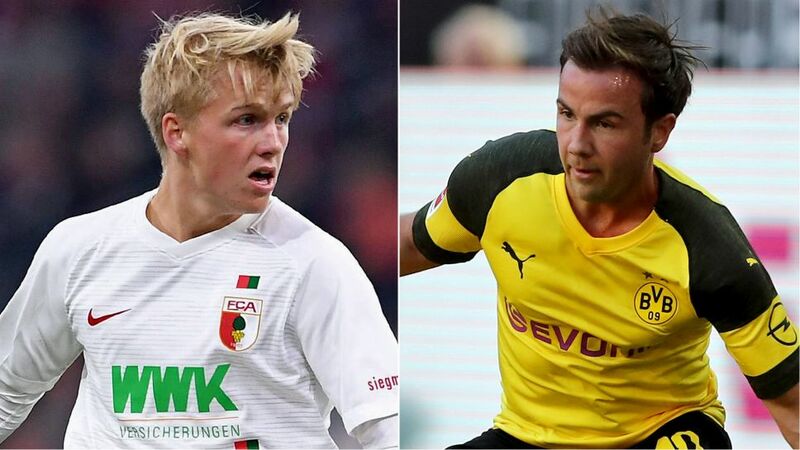 Augsburg's Felix Götze dedicated his headline-grabbing goal against former club Bayern Munich to brother Mario - but that's not the only example of fraternal love in the Bundesliga. Watch: The moment Felix Götze will never forget - scoring at Bayern! With six years between them, the Götze brothers have never played in the same side professionally, but they've always had each other's backs. "We'll always support each other," Felix said after coming back to haunt Bayern. "He'll be happy for me and I'll always be happy for him. The goal proves that we Götzes are capable of many things. The goal was for him." Young Felix was making only his second Bundesliga appearance, having joined Augsburg from Bayern in summer 2018. He spent four years in Munich, albeit playing for the U17s, U19s and reserves. Mario had already been on the Bayern books for a year when his brother rocked up. He won three of his five Bundesliga titles to date in Munich, before returning to the scene of his big career break, Borussia Dortmund, in 2016. He famously scored Germany's World Cup final-winning goal at Brazil 2014. Still proudly flying the Bundesliga flag, over a decade after he first arrived in Germany, Raffael has become something of a club legend at Borussia Mönchengladbach. His 70 goals in all competitions have propelled Borussia back into the spotlight, and he remains as relevant as ever in 2018/19 - at the ripe old age of 33! A year younger than Raffael, Ronny was the Hertha's stand-out performer in their run to the Bundesliga 2 title in 2012/13 and return to the top flight at the first time of asking. The former Brazil Under-20 international scored 28 goals in 123 outings for the Old Lady all told, leaving behind a left-footed legacy that is the subject of many a YouTube search to this very day.